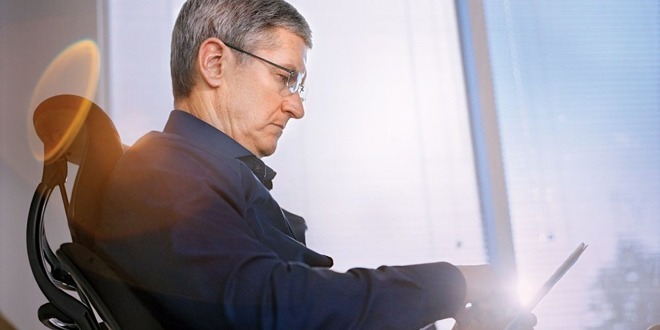 Following up on a "Most Innovative Company" award, business magazine Fast Company on Wednesday published a wide-ranging interview with Apple CEO Tim Cook, covering topics like the stock market, long-term plans, and the importance of Apple Music to the bottom line. The stock market has "little to no effect" on Apple's propensity for innovation, though the company is an outlier, Cook claimed. "More generally, if you look at America, the 90-day clock [quarterly results] is a negative," he expanded. "Why would you ever measure a business on 90 days when its investments are long term?" Along those lines, Cook denied that Apple follows other companies with products like the HomePod. The device is Apple's first smartspeaker, but shipped just this month, years after the entry of Amazon and Google into the market. "What's happening if you look under the sheets, which we probably don't let people do, is that we start projects years before they come out," Cook said. "You could take every one of our products —iPod, iPhone, iPad, Apple Watch —they weren't the first, but they were the first modern one, right? "In each case, if you look at when we started, I would guess that we started much before other people did, but we took our time to get it right. Because we don't believe in using our customers as a laboratory. What we have that I think is unique is patience. We have patience to wait until something is great before we ship it." The CEO noted that Apple's "forcing function" is its chip requirements, which mean that development often starts three or more years before a product hits the market. "So we've got things that we're working on now that are way out in the 2020s," he commented, while noting that Apple leave some room where possible to enhance a product even in the months before it ships. Few of Apple's 2020-era plans have been rumored, the main examples being an AR headset and a self-driving car platform. On Apple Music, Cook argued that his company is "not in it for the money" in response to the idea that it could become a stand-alone profit source, rather than an indirect means of locking people into Apple platforms. "I think it's important for artists," he said. "If we're going to continue to have a great creative community, [artists] have to be funded." Asked about what Apple could expand into in the future, given the march of technology and society, Cook said that Apple won't be distracted by what doesn't matter. "The priorities are about saying no to a bunch of great ideas. We can do more things than we used to do because we're a bit bigger. But in the scheme of things versus our revenue, we're doing very few things," said Cook. "I mean, you could put every product we're making on this table, to put it in perspective. I doubt anybody that is anywhere near our revenue could say that."